Without wasting any time we get into Fallout 4. 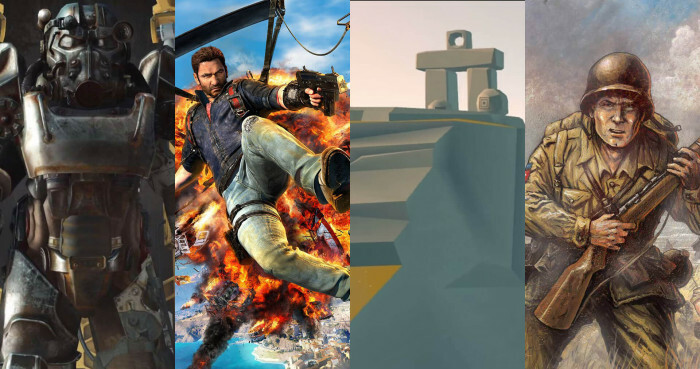 Dennis gets explode-y with Just Cause 3 despite the load times. Michael is our “resource” for Starcraft 2: Legacy of the Void game info. Michael moves to the Dark Side of Battlefront enthusiasm. No terrorist is safe from Dennis in Rainbow Six: Siege. We move things with our minds using Samsung’s Gear VR. Shawn shows Michael and Dennis exactly how the Allies won WWII in Memoir ’44 (spoiler: good dice rolls).